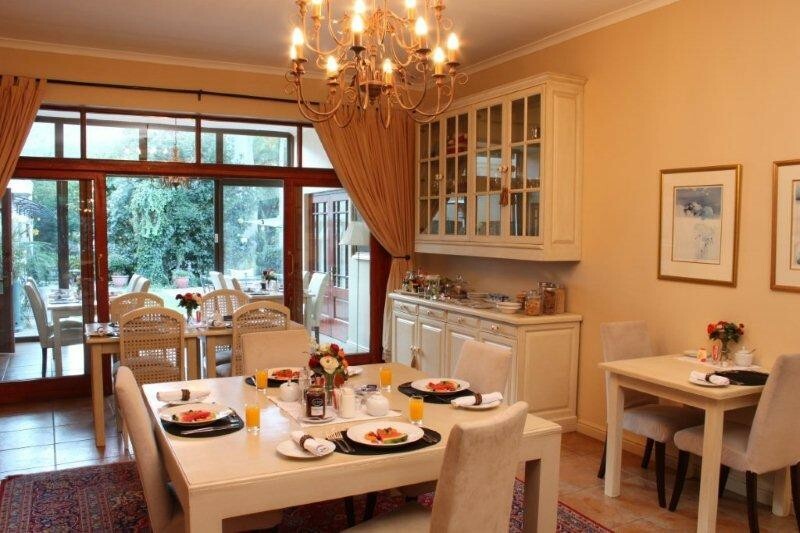 Riversong Guest House - affordable luxury in the heart of Newlands, Cape Town. Inri Mc Manus welcomes you to Riversong Guest House. Friendly hospitality and attention to detail makes Riversong a popular choice for local and overseas guests. Riversong is short walk from Newlands Cricket and Rugby Grounds, Cavendish Square (The Mall), Claremont CBD, Vineyard Hotel and Conference centre, S.A. Sports Science Institute, SA Breweries, Dean Street (start of The Two Ocean Marathon), and Virgin Active Gym and many restaurants and pubs around the trendy Newlands Village. 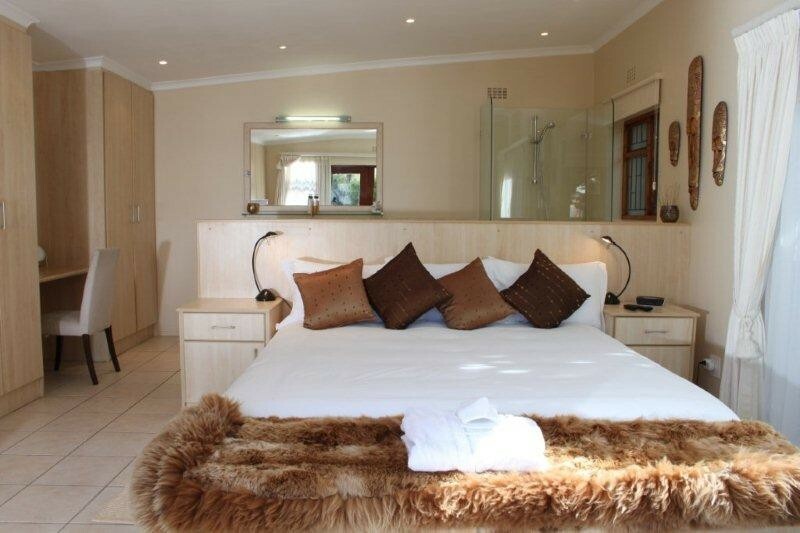 Our elegantly stylish, spacious en suite bedrooms have comfortable beds and pillows, Flat screen TV/ DSTV decoders, microwave ovens, portabe air conditioners. Hand held clothing steamers. Well stocked fridges and snack baskets, tea and coffee making facilities, safe for valuables, desks/dressing tables, heaters, electric blankets, hot water bottles and fans. Fluffy white towels and bathrobes, percale linen, hairdryers, clock-radios/iPod docking stations, Charlotte Rhys toiletries, pool towels and complimentary chocolates. Mr Deliver and Butler's Pizza menus in the rooms. Dinner on request. Full English Breakfast served. Free wireless Wi-Fi. 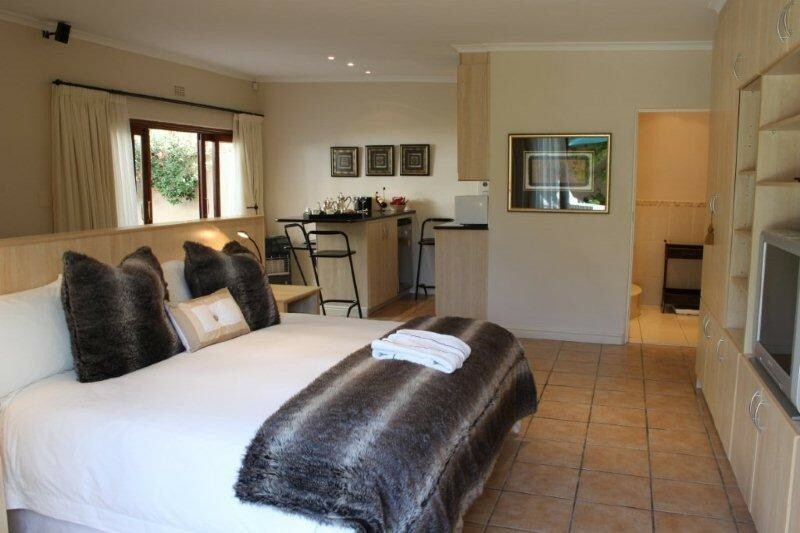 The Leopard Room - 2 double beds - access to pool patio – Mountain Views. Suitable for families sharing. 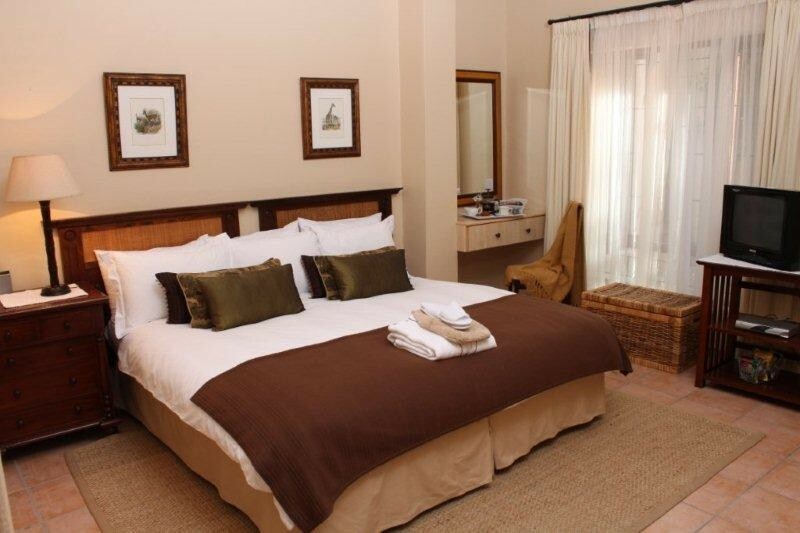 The Ethnic Suite -2 single or 1 king bed - access to lavender garden - separate lounge/study - large shower en suite bathroom. 2 single beds can be added to lounge to turn this room into a family room. The Mt View Room - 1 king or 2 singles beds - access to lounge patio - Mountain views. The River Room - 1 king extra length - open plan full bathroom - toilet is not enclosed but behind a low wall. 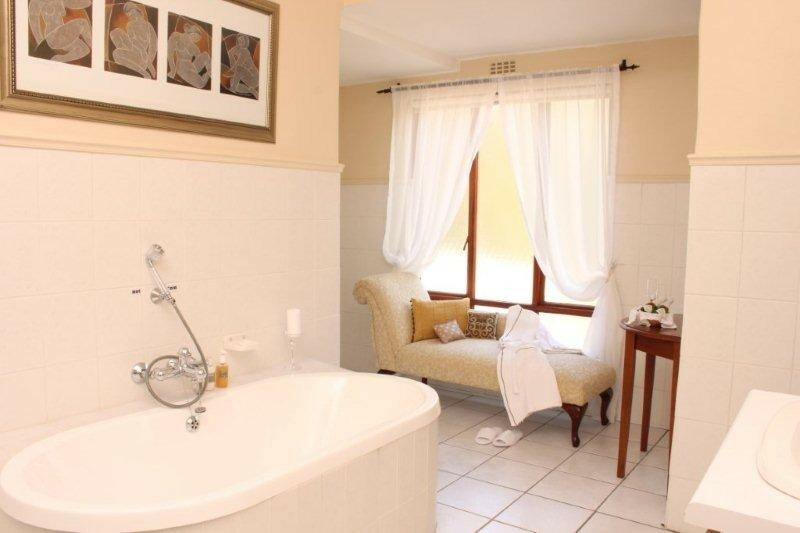 Suitable for established couples who do not mind an open plan bathroom or single occupancy. - access to pool patio. The Guest Room at 26 Esme Road. 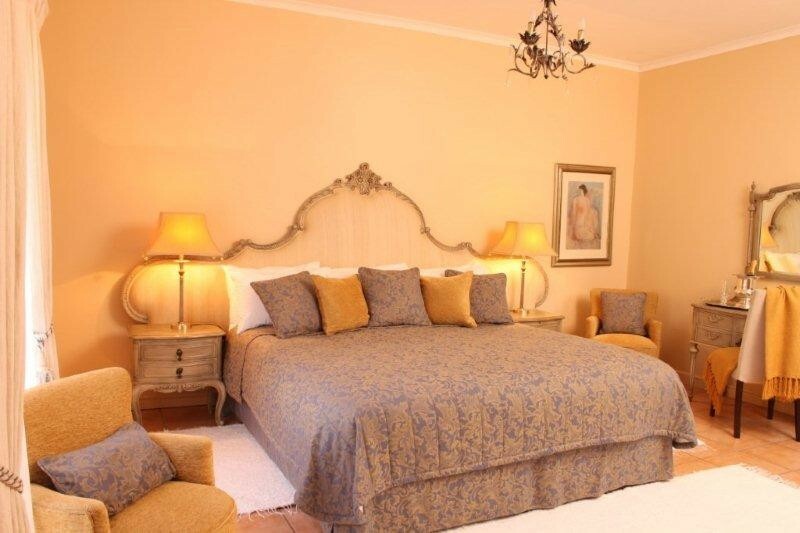 This room is situated at the Owner’s private home which is a few houses from the Main guest House. This room has a double bed and boasts a flat screen TV and I-pod docking station. 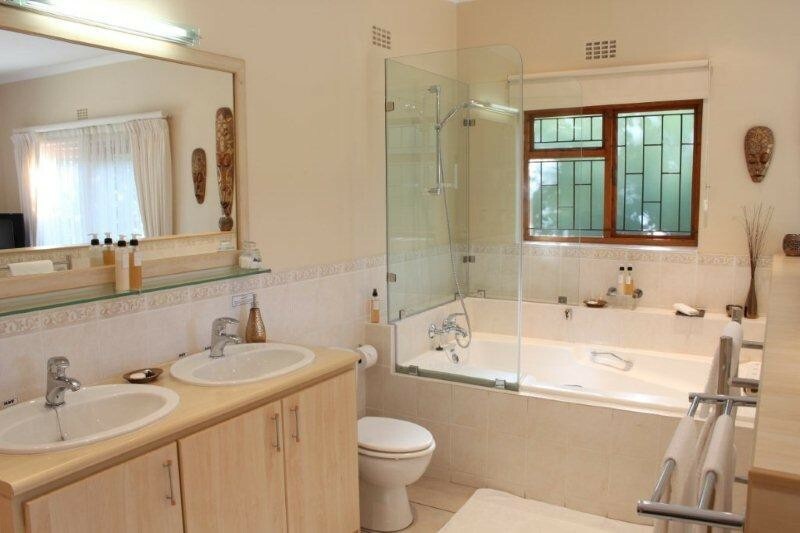 En suite bathroom with shower/bath. 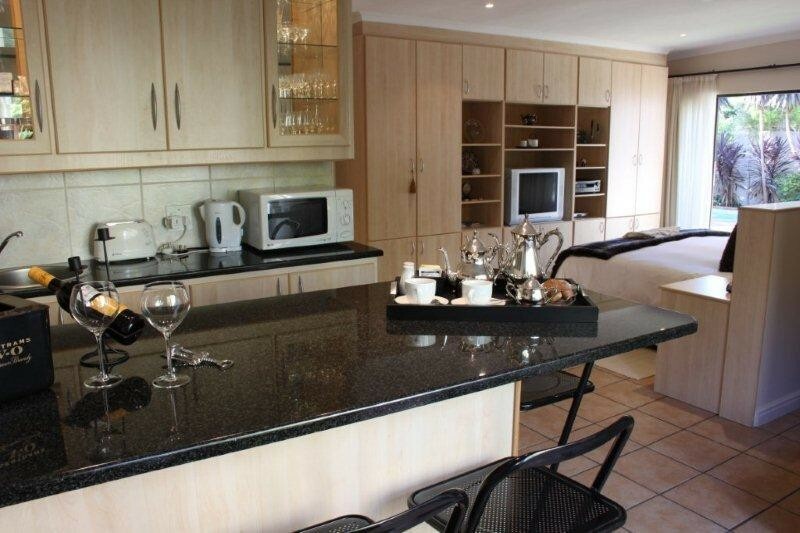 Microwave oven, toaster, fridge and tea/coffee making facilities. Free Wi-Fi. We have a no smoking policy in our rooms and house. There is a private entrance with access to garden patio with outside table and chairs where smokers can smoke outside. 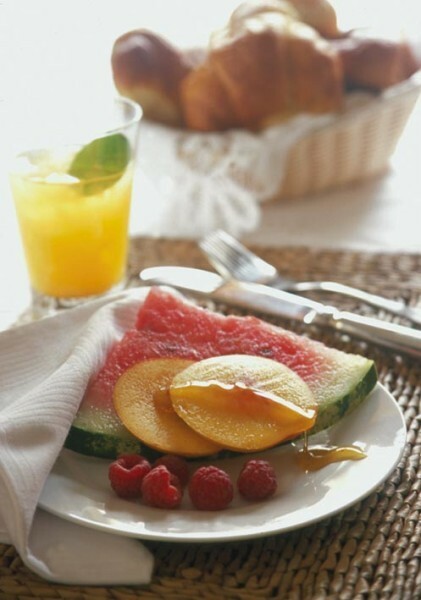 Enjoy a continental breakfast in the privacy of your room or walk down to the Main guest house and enjoy a full English Breakfast. All our rooms have microwave ovens and portable air conditioners. 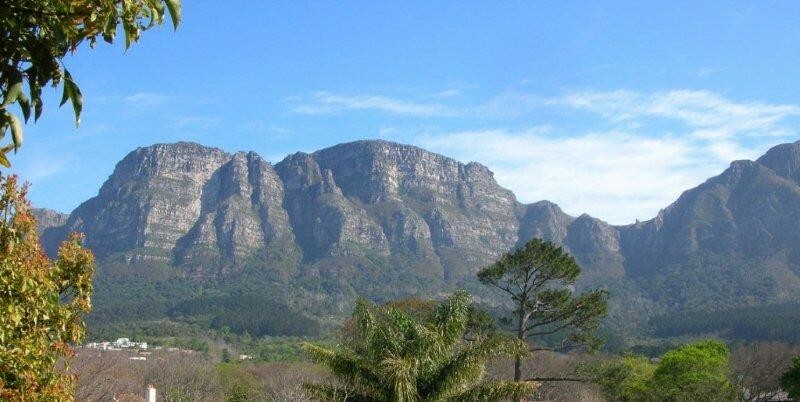 We have stunning mountain views from certain rooms, our roof garden, lounge and dining room. 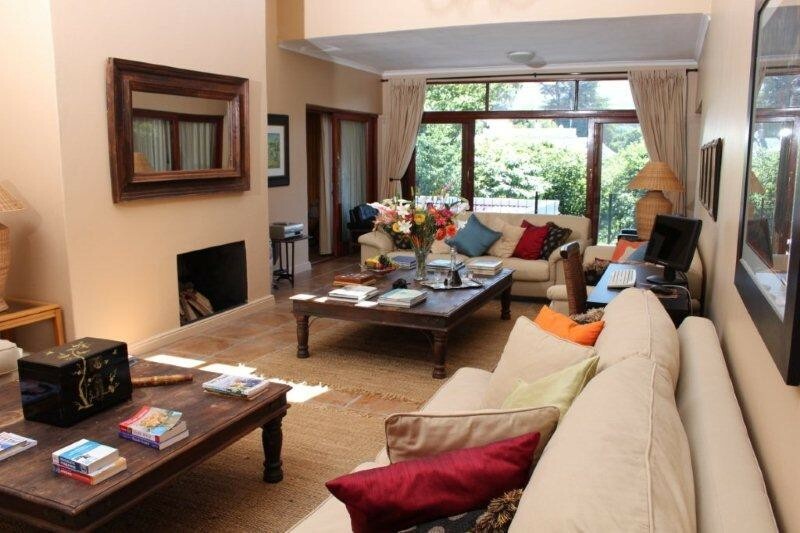 Our dining room leads onto the pool patio and our garden that borders The Liesbeek River. View our 300 year old Fig tree and the interesting bird life along the river. Free Wireless internet. Small conference facilities. Business Centre. Guest laptop in lounge. Shuttle service arranged. Taxis/Uber available. Tailor made Tours with our private accredited tour operator. Restaurant, golf, car hire and theatre booking facilities. 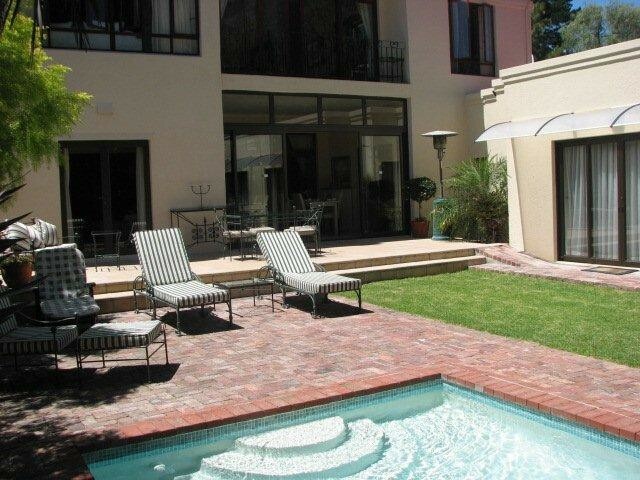 We have alternate water source from The Liesbeek River which our property/Guest House borders. We have a pump, tanks and a filteration system. We can turn on this water should we not have municiple water supply. AA Great Food Award 2008. AA Great Team Award 2009. One of 8 finalists in the AA Best Guest House Awards from 2005 to this current year. Portfolio Luxury and AA luxury Establishment.